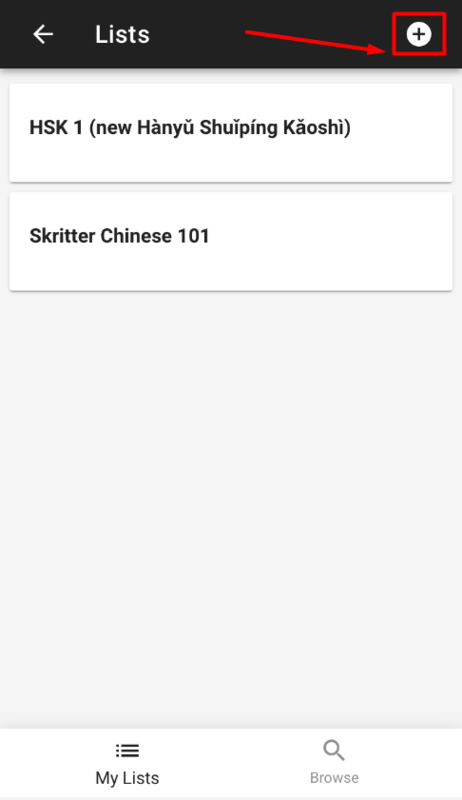 After signing in to Skritter, you'll be brought to the main Dashboard. 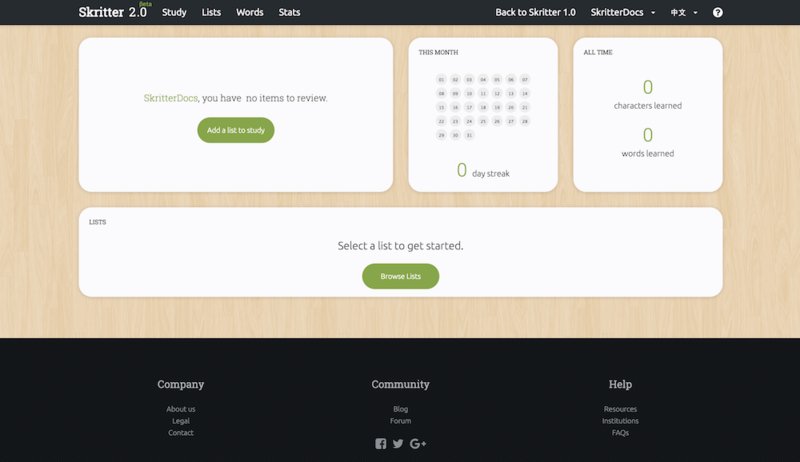 The dashboard is where you can access the Study button (to begin studying), view how many items are due for review, see your daily study streak, your all time words and characters learned stats, and the lists you are actively studying. In order to start studying, you need to have at least one list selected to add words from. 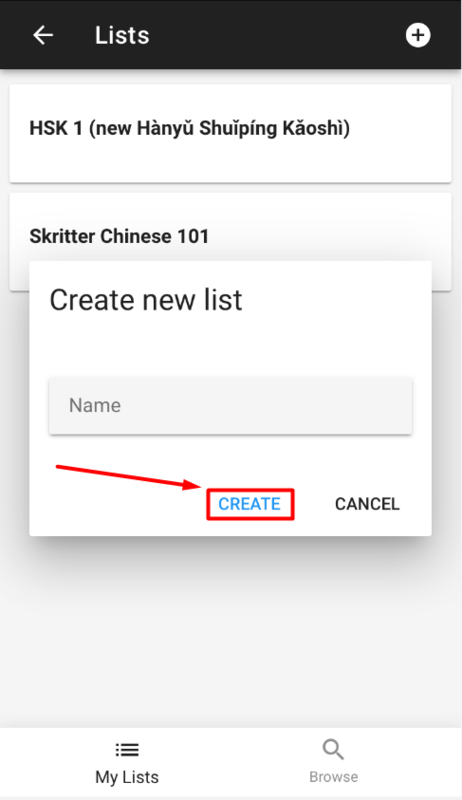 All of the words and characters you study on Skritter come from lists, whether it's a pre-made list you choose to study, or one that you create yourself. To begin, click the "Add a list to study" button on the Dashboard. After clicking the "Add a list to study" button, you'll be brought to the Browse Lists page. Once deciding which list you would like to study, press the green (+) icon to add it to your queue. 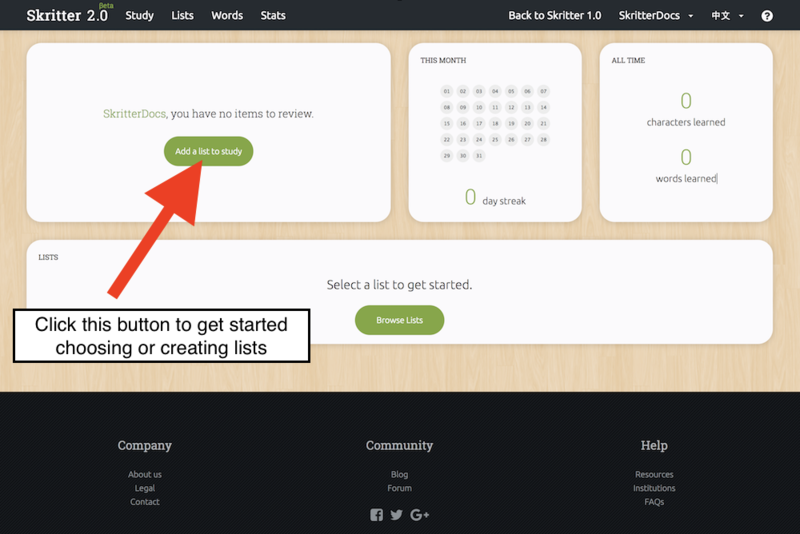 After adding the list(s) to your queue, navigate back to the Dashboard by pressing the "Skritter 2.0" logo in the upper left hand corner. Now that you've returned to the Dashboard, you can see the list(s) you've added on the bottom of the screen. To begin studying, click the green "Study" button. You can also click the "Study" button on the top black navigation bar to directly go to the study page from anywhere on the website. 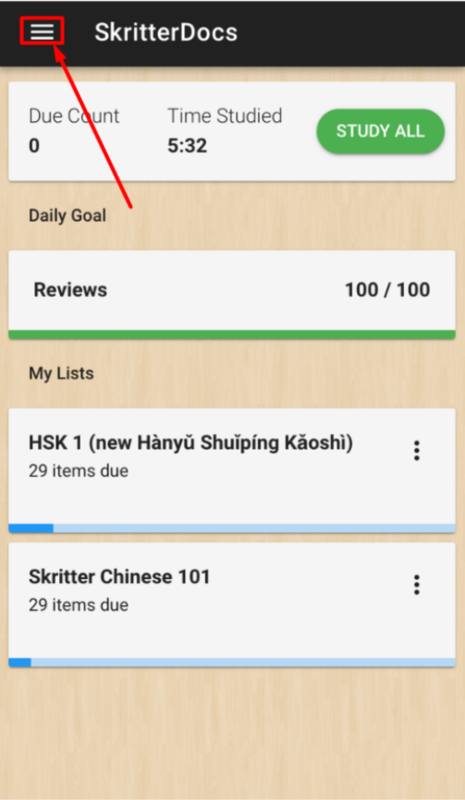 You can choose a specific list to study, even if you have selected multiple lists in your queue. 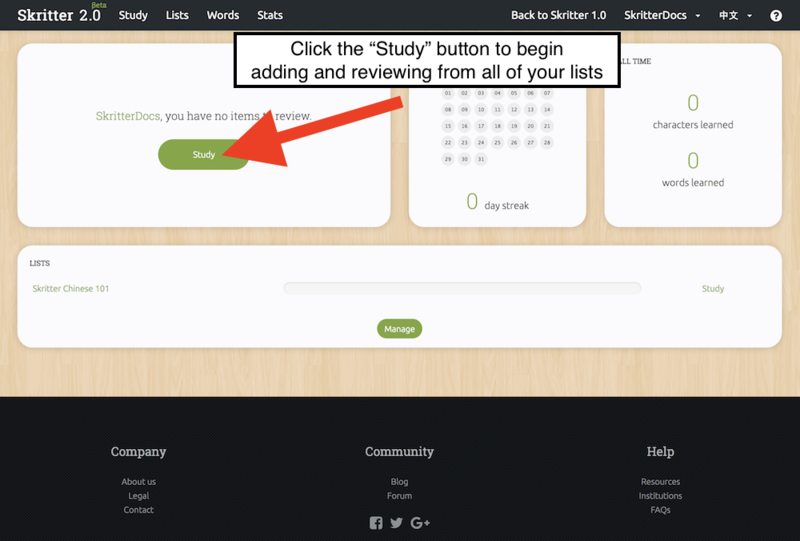 To do this, press the "Study" button to the right of the desired list. 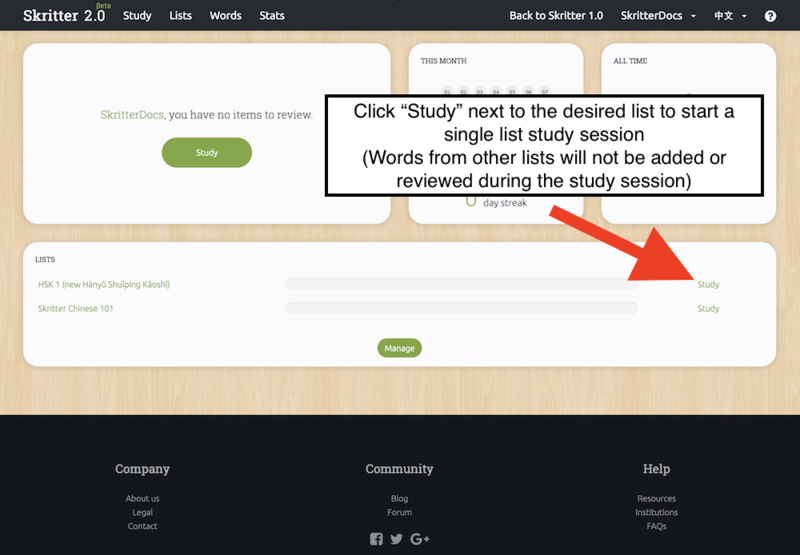 This will load a single list study session, where only words from the list you've chosen will be added and reviewed. To begin, tap the menu button in the upper left corner. 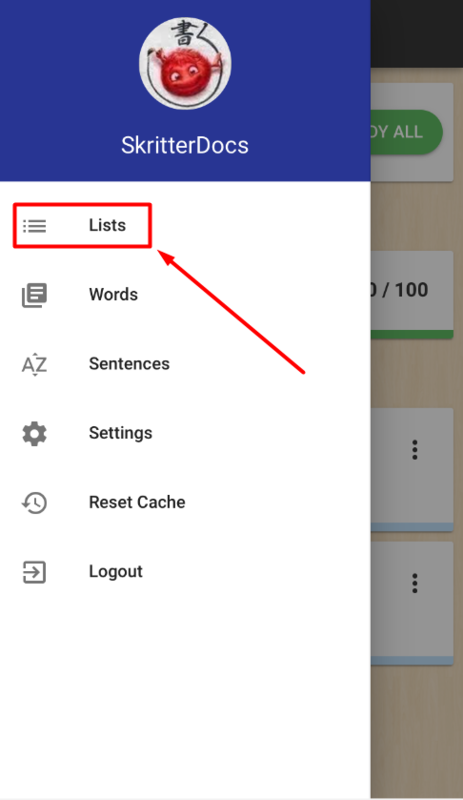 Tap the plus (+) button in the upper right corner to create a new list. 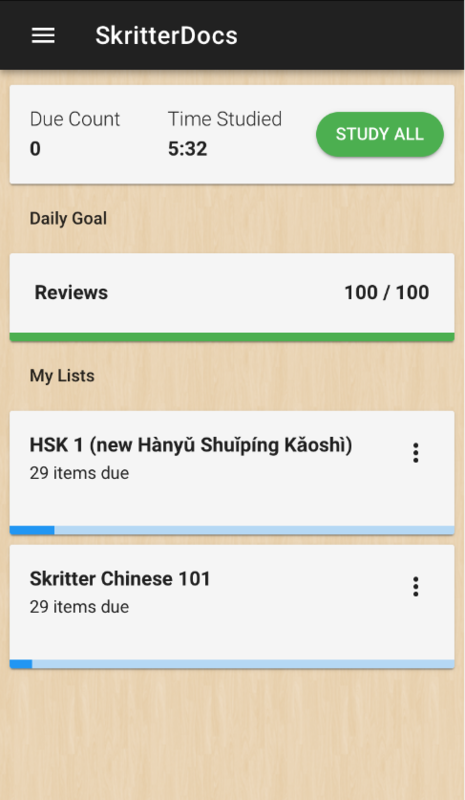 Lists in the mobile app is still being updated.